Signed (Zoltan?) 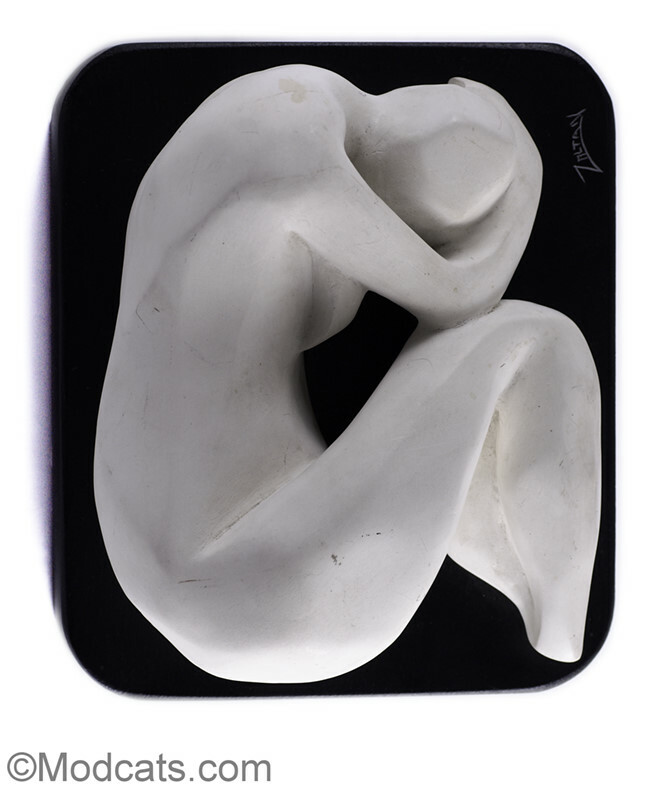 but not dated - Mod abstract woman sculpture. White painted plaster cast or clay on black wooden base.